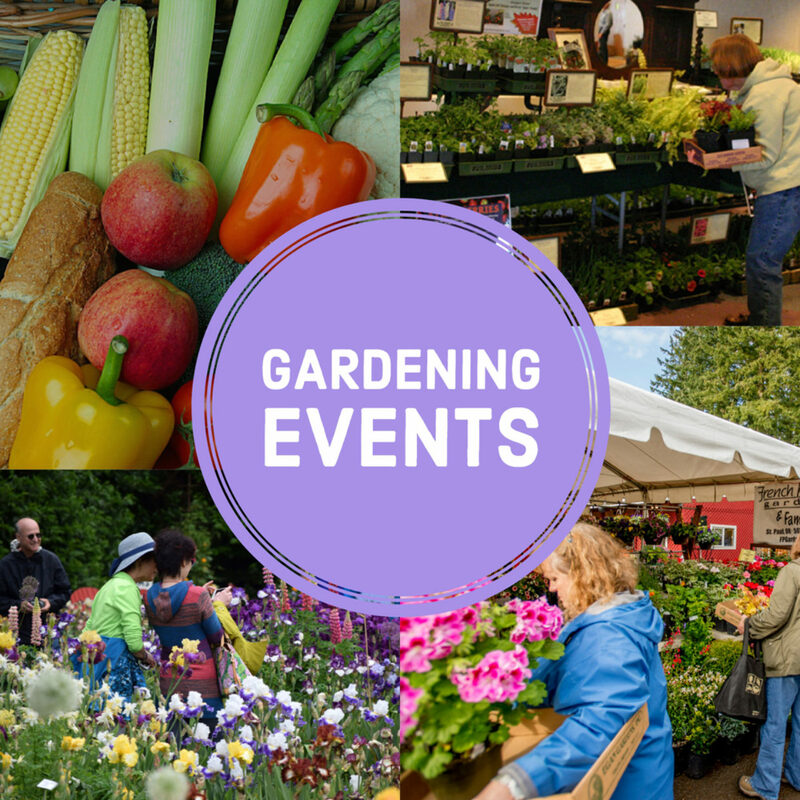 We hope to see you at the following garden-related events in 2018! February 22–25, 2018 at the Portland Expo Center. February 24, 2018 at the Polk County Fairgrounds. March 2, 2018 at Lake Bible Church in Lake Oswego. FREE admission with canned food donations for FOOD for Lane County. April 7, 2018 at Fir Point Farms in Aurora. April 14–15, 2018 at the Portland Expo Center. Admission is FREE. Donations of canned foods for local food banks, or cash donations to Operation Warm Heart will be graciously accepted (but are not required for entry). May 5–6, 2018 at the Clackamas Country Fairgrounds in Canby.